Lemon balm is an herb that is part of the mint family and is most often grown in Europe and the Mediterranean. It is a small shrub like plant with oval shaped leaves and occasionally small white flowers can be seen growing from it as well. Lemon balm has a faint lemon scent to it and has been used over the course of many centuries for culinary means as well as for cosmetic purposes. This particular herb is also one of the oldest herbs to be used medicinally, and was considered a staple of physicians in ancient Greece as well as during the middle ages. It was said to be the favorite herb of the goddess Diana in Greece and was used for any sickness or skin wounds over the next two thousand years. In our world today, studies have shown that lemon balm is an effective form of relief for a large variety of different health issues, ranging from headaches to mood disorders. One of the reasons why lemon balm tea may be considered so useful with intestinal issues or cramps is due to the fact that it contains special oils which can help relax the muscles in the uterus, stomach, and bladder. With more relaxed muscles, you are better able to prevent spasms or cramping that might occur otherwise. If you are suffering from excess gases in the stomach, the relieving oils in this drink can help to alleviate this. The relaxing nature lemon balm holds over the body is also particularly useful for women who suffer from premenstrual aches and pains as well since it can also help to soothe those issues as well. Another interesting effect that lemon balm has on the body is that it works as a sedative. This can help calm nerves as well as relieve anxiety. Clinical trials have been undertaken to try and learn more about this connection so as to determine how this tea can have an effect on the central nervous system. This tea rightfully holds its place as one of Europe’s foremost natural remedies for insomnia and anxiety since it can provide gentle relief for the symptoms of a number of different sleep disorders, especially if consumed before bed. Possibly one of the best benefits one can find in drinking lemon balm is that it holds many antiviral components like flavonoids in it. This makes it an effective drink to help heal cold sores, mumps, as well as cold and flu viruses. Aside from this, there are also many antioxidants in lemon balm, making it even more effective in healing the body and ridding it of any toxins as well. Studies that have revealed the significant effects lemon balm has in healing cold sores also works to make sure that they show up less frequently. This is great news for people that suffer from constant outbreaks and would like to try a more natural way to soothe over this problem. Directions: To prepare this tea, simply take one bag and steep it in a cup of hot water for 10 to 15 minutes to achieve the best flavor. It is generally healthier and more common to sweeten it with honey; a small amount of milk can also be added for taste if preferred. You can drink 5-6 cups a day, as felt necessary or desired. Lemon balm tea is by far one of the best and healthiest teas to drink. Not only is it marvelously healthy it also tastes great too! If you’ve found yourself wondering where you can get some of this delicious tea, you will be very pleased to know that it is available at most local health food stores. 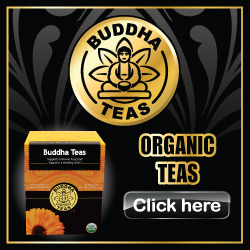 It is also readily available for purchase at reliable many online stores as well like Buddha Teas. We hope that you have found this article informational and with luck we also hope we’ve also been able to answer some of the questions you may have about this tea. If you still hold any further questions, please do not hesitate to contact us.